A while back I mentioned that I picked up a needlepoint loom at a garage sale. If the weather wasn’t so beautiful, I’d be done with my weaving project by now, but it’s going pretty slowly since I’d rather be outside than indoors weaving. Here’s my progress so far. 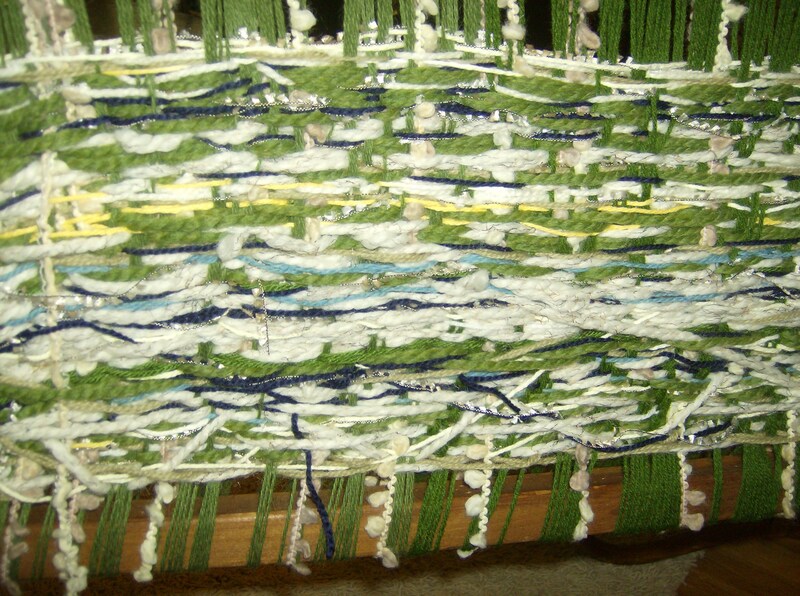 Weaving loom update. Photos by Holly Tierney-Bedord. All rights reserved. Weaving detail. Photo by Holly Tierney-Bedord. All rights reserved. When finished, I plan to attach it to a giant branch. It will look like this one, below, only quite a bit larger. 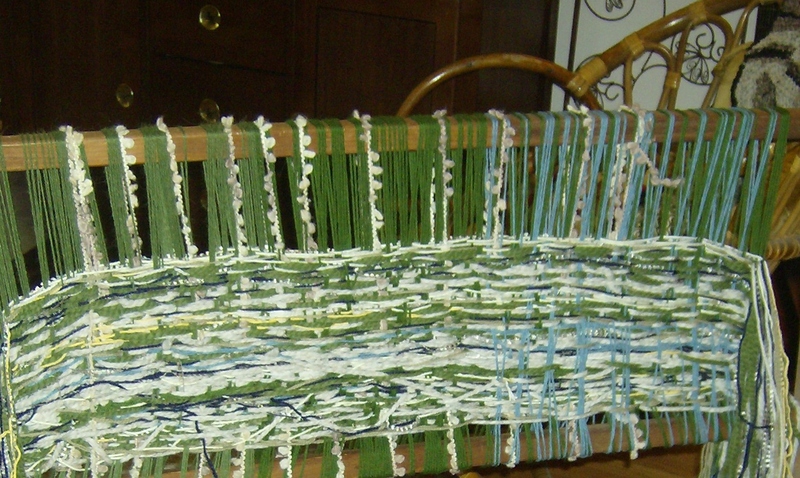 Small weaving. Anyone can make this simple weaving. This one was made in a short amount of time using the arms of a chair as a loom. Click on photo for simple instructions. Photo by Holly Tierney-Bedord. All rights reserved. Once it’s completed, I will post some photos of the finished project! Previous PostAm I the only one who finds Josh incredibly fake?